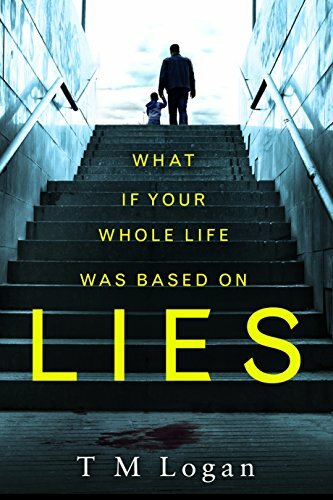 WHAT IF YOUR WHOLE LIFE WAS BASED ON LIES? A gripping new psychological thriller of secrets and revenge. When Joe Lynch sees his wife enter an underground car park in the middle of the day, he's intrigued enough to follow her down. And when he sees her in an angry altercation with family friend Ben, he naturally goes to her defence - and doesn't for a minute believe the accusations Ben makes against her. It's pure misfortune that, just as the clash becomes violent and Ben is knocked unconscious, Joe's son has an asthma attack, and Joe has to take him to safety. It's just that, when Joe comes back to check Ben's OK, he's disappeared. Everyone Lies, Everyone has secrets. Joes Lynch is just about to find out that just about his whole life is a lie. Soppy, old before his time, average Joe. To be honest it was no wonder what happened to him did. Joe Lynch is a wet lettuce of the highest order and by god he needs a slap to wake him up. He got it. This book has been likened to one of my favorite authors Tom Bale and to be fair I can see the comparison. Both are high energy in your face danger and tension from the first page and the writing is very good in particular the dialogue. However the ending was a let down for me, it was like watching an episode of the BBC show "Death In Paradise" and that isn't a bad thing by the way, its just that we spend the whole book filled with tension and not knowing who is telling the truth then on a train journey back our average Joe slots all the clues into place becomes a cross between Sherlock Holmes and Action Man and nearly everyone lives happily ever after. Having said that I really did enjoy this book, it was so nearly a 5*. I would definitely read more of T M Logans writing. It did everything a book of this genre should and if I stop being a picky so and so it did have a unexpected, if somewhat mad ending.